Pocky is the most popular and famous Japanese sweet snack, and for a reason! 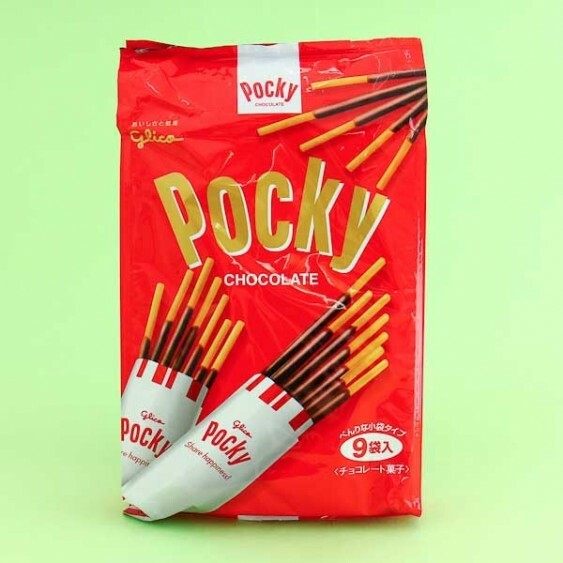 Each Giant Pocky pack includes 9 normal sized packages of Pockys and the biscuits sticks are covered with delicious chocolate flavoured frosting. The end of the sticks has been left uncoated, so you will not get your fingers sticky while eating them. The name "Pocky" is derived from the sound that this crispy snack makes when eaten. 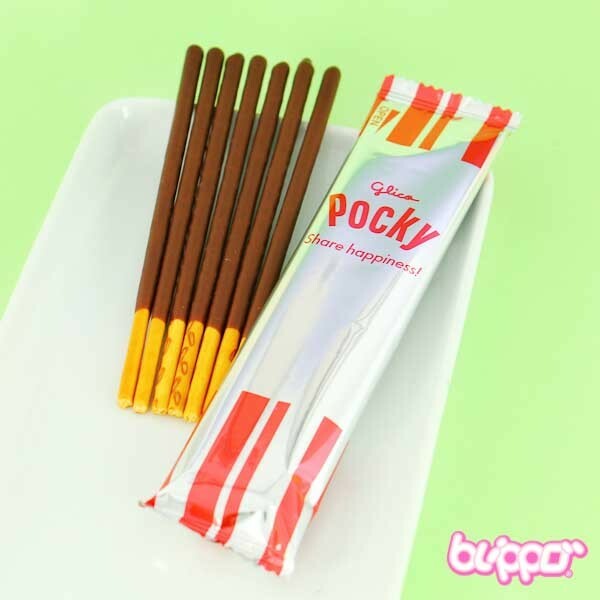 Pocky sticks come in a broad array of flavours, styles and shapes. Pack full of sweetness!